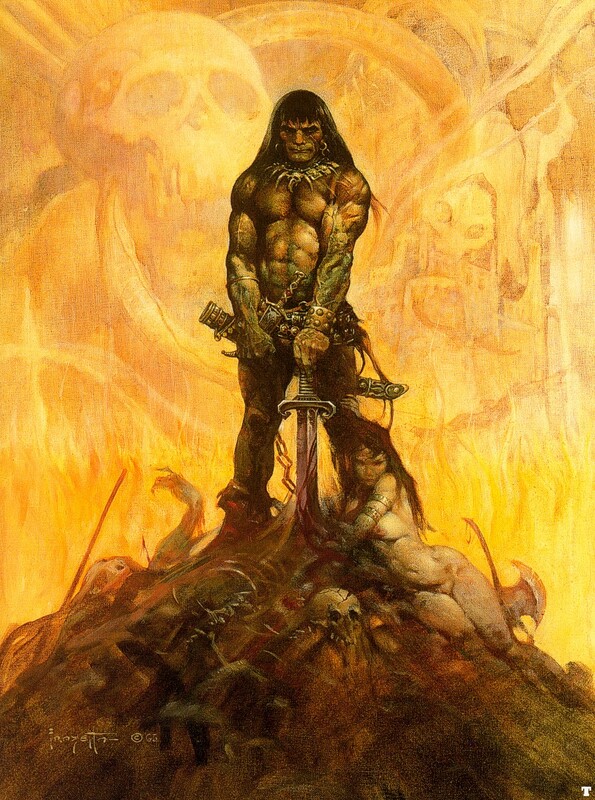 A tribute to illustrator Frank Frazetta and his classic Conan cover. "done just in time for Wizard World Chicago. did this for The Art Jams way back in Jan but only as very rough pencils. finally got around to finishing it. an homage to the great Frank Frazetta with his classic Conan cover. 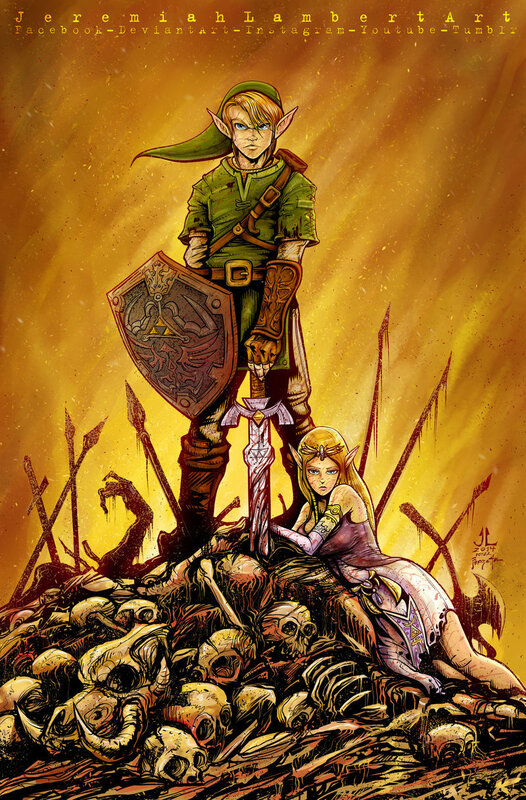 but this time with Link and Zelda."